MainAll NewsInside IsraelNo normalization for terror victim's town? No normalization for terror victim's town? Despite support from cabinet, Defense Minister's proposal to retroactively normalize status of terror victim's town left off gov't agenda. A proposal by Defense Minister Avigdor Liberman (Yisrael Beytenu) to normalize the status of Havat Gilad following the recent murder of one of its residents will not be addressed by the governing coalition next week, despite broad support within the government. On Sunday, Liberman submitted a proposal to the coalition government Sunday, calling for the establishment of a new town in Samaria for the residents of the Havat Gilad outpost in Samaria, normalizing the community’s status while potentially requiring the relocation of some residents now living on disputed land. 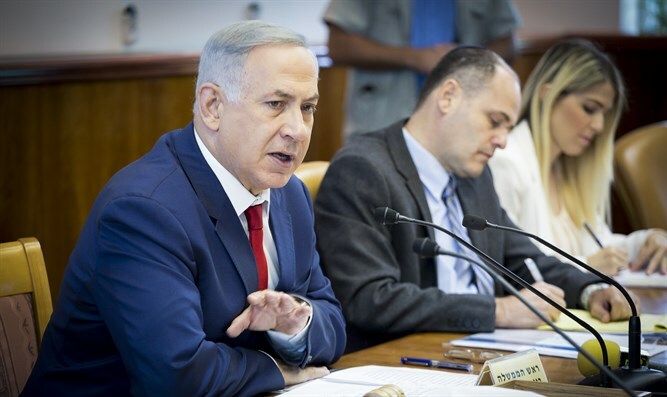 While a number of coalition members, including cabinet ministers, have expressed their support for some arrangement to normalize Havat Gilad’s status, the Defense Minister’s proposal is entirely absent from the daily agenda of the government’s weekly meeting this coming Sunday. The proposal will be neither voted on nor even discussed, according to the meeting schedule.